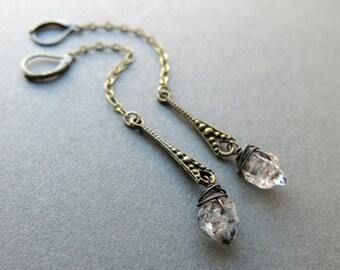 Natural raw double-terminated Tibetan Herkimer-style quartz crystals with black tourmaline and carbon inclusions, wire wrapped and dangling on sterling silver leverback ear wires. 1.5 inches long. 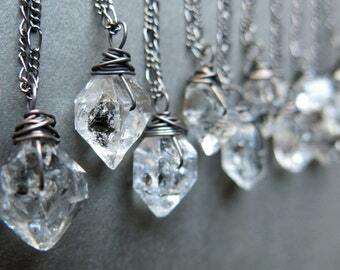 Crystals measure 10-17mm long. 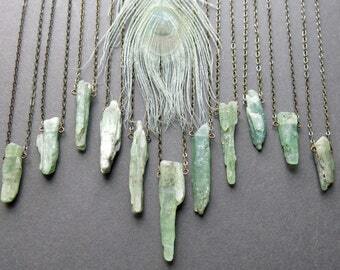 Wear them as the perfect compliment to any modern, tribal, bohemian, or festival attire! 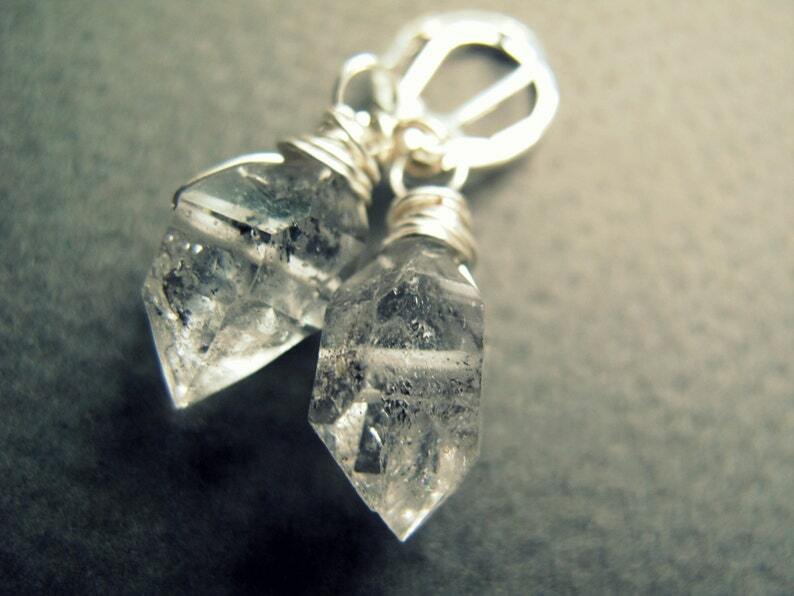 This listing is for a newly made pair of the above pictured earrings- your crystals will vary slightly from the ones pictured (may have more or less black inclusions, variance in clarity), but will be just as beautiful! Wire wrap is fine silver-filled wire with non-tarnish coating, earring hooks are .925 sterling silver. Each pair of our gemstone earrings is one of a kind and hand made to order. Please allow 1-2 weeks for production. If you have a specific deadline, please let us know and we will do our best to accommodate you! Each of our designs is lovingly hand crafted at our studio in the heart of the NoBo Arts District in Boulder, Colorado. Our high quality materials and attention to detail help ensure each piece of jewelry will endure travel and adventure. Please be aware, however, that some crystals and stones are naturally fragile, so handling your jewelry with care is recommended. Please avoid exposing your jewelry to excessive moisture as this may alter the finish on the metals. Please take a moment to review our shop policies before purchasing. If you have any questions, deadlines, or special requests, please feel free to contact us! These are officially my new favorite pair of earrings! I love the length and the size. 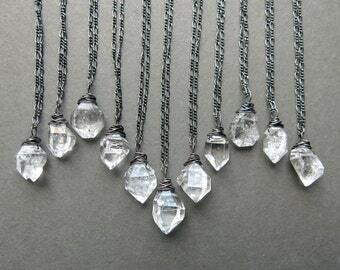 I would definitely buy more of these with different stones! Beautiful!